Auckland, New Zealand is one of the most beautiful and dynamic cities I have ever had the privilege to live in. It’s like if you mixed San Francisco with Hawaii. 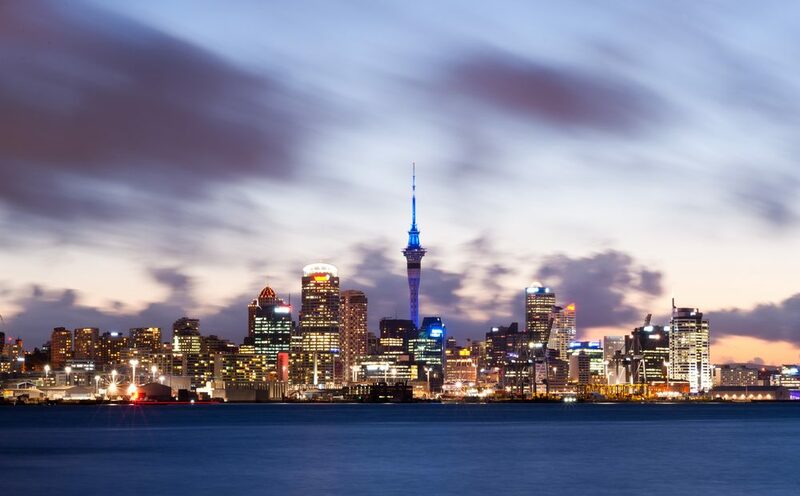 Auckland is New Zealand’s largest city (though not its capital). In fact, Auckland has about 1/4 of the entire population of the county, causing Kiwis to nickname Aucklanders as JAFAs (Just Another F****** Aucklander). Much like America’s New York/Los Angeles debate, or Australia’s Sydney/Melbourne debate, Auckland is always in contention with Wellington as to which city is truly the cultural hub of New Zealand coolness. Sky City is a massive entertainment complex located in the middle of Auckland’s CBD. With two hotels, a casino, and row-upon-row of some of Auckland’s best restaurants, it’s not uncommon to see some visitors spend their entire vacations here. The most notable structure in sky city though, is the Sky Tower. 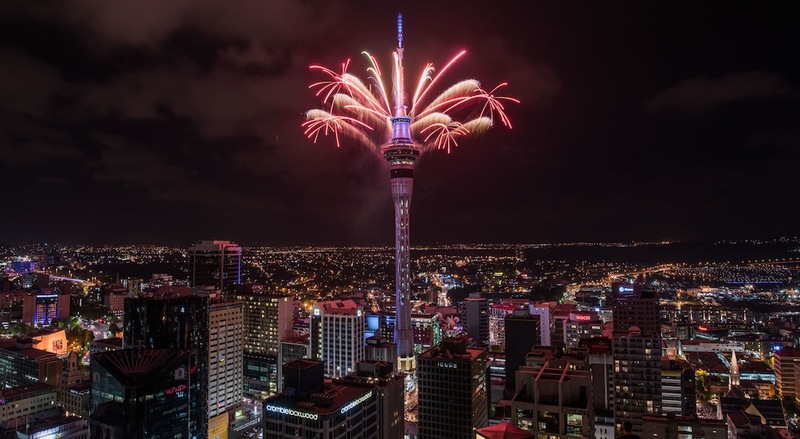 Auckland’s Sky Tower is the tallest structure in the southern hemisphere, giving you unparalleled views of the city. Feeling like having a really special night? Then be sure to have dinner at Orbit 360. The Sky Tower’s rotating restaurant. 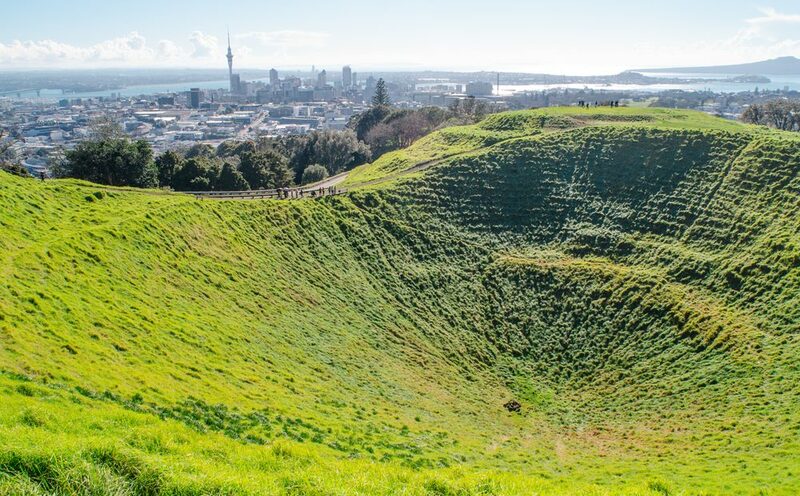 Mount Eden is the name of the remnants of a volcano that erupted 28,000 years ago, leaving behind the cinder cone crater as a reminder of its past power. Nowadays, the base of the volcano is home to the Mount Eden suburb, an adorable collection of cafes, local markets, and my favorite bookstore in Auckland, Time Out. After strolling through the town below, make your way up the volcano for incredible views of the city. The Auckland Domain is a large park located next to the CBD and the suburb Parnell. The park is home to various green spaces that are perfect for enjoying a nice day, as well a botanical garden and greenhouse. 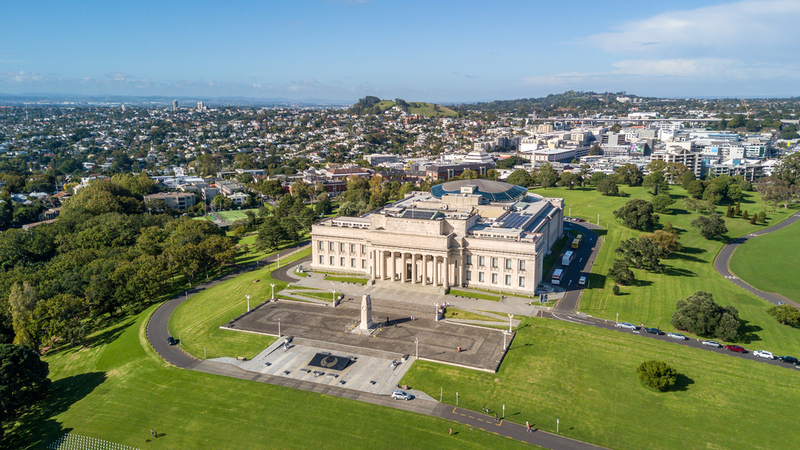 The highlight of the Domain however is the Auckland Museum. Here you’ll find rotating exhibits about New Zealand history and Maori culture. When I visited the museum they had an Air New Zealand exhibit that talked about the history of the airline, what aircraft cabins looked like through the years, and how cabin crew have dressed over the decades. It was an incredible experience! Ponsonby Or, Pon-snobby as it’s often joked, is Auckland’s trendsetting neighborhood. 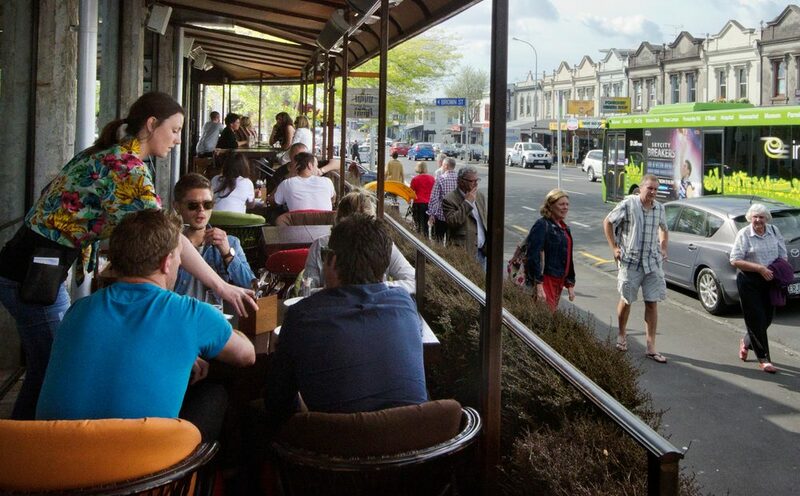 If you walk down Ponsonby Road you’ll find an endless array of local shops, bakeries, restaurants, and bars. I used to work at the Vodfaone in Ponsonby, and I can tell you, a lot of my paycheck was lost on my lunch break as I ate my way through the neighbored. Cafe Cezanne is a best bet for freshly made cakes and desserts, and the upstairs of the Ponsonby International Food court will give you some of the best asian food in New Zealand. When you visit Auckland, you’ll notice it looks like there is an impending volcano just offshore. And that’s because there is! 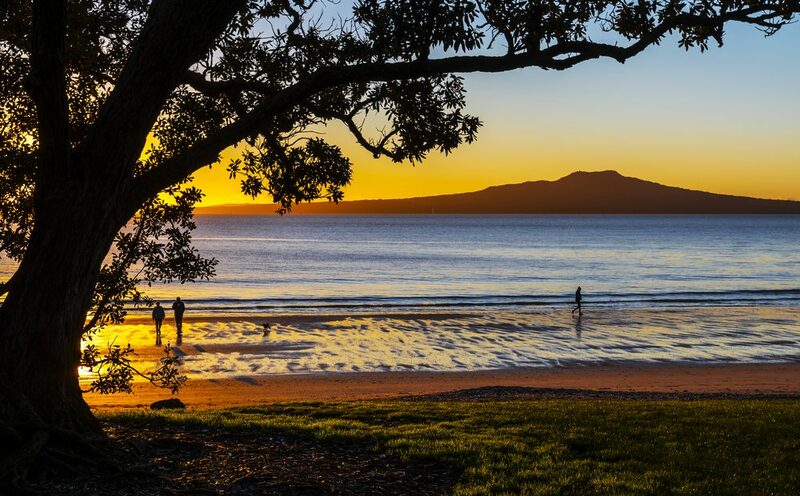 Well, it isn’t impending….Rangitoto hasn’t erupted for 600 years. So most likely, you’ll be fine. But it is a great symbol of just how active the Auckland volcanic region is (the city sits on some 50 volcanos). Rangitoto is one of the most spectacular. After taking the ferry to the island, you can explore the shoreline, venture into caves and lava tubes, and of course, scale the volcano to the top! Thats fine, because I have another amazing Auckland Island for you! Waiheke Island. 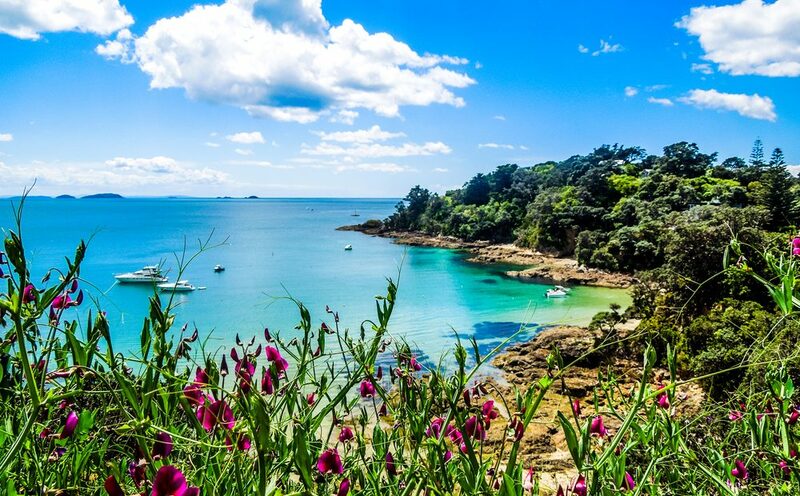 Waiheke is a beautiful island just off the coast that is famous for its vineyards. Wine tours are popular, as are weddings. Aside from the wine, the island has attracted a bustling art community that sell their work in local shops. My advice would be to stay the night. There are lodges and famously quaint B&Bs on the island. Take the ferry in one morning and spend your day walking the shores and visiting wineries, have a great dinner at one of the island’s restaurants, and then get an early night’s sleep so you can wake up to watch the rising sun as you listen to the waves crash upon the shore. 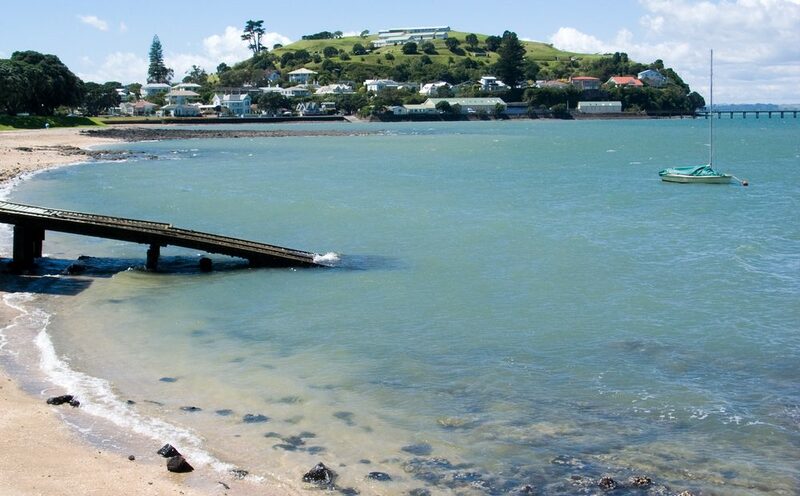 Located on Auckland’s North Shore, Devonport looks like you’ve been transported into a small beachside town. Devonport is home to some famous chocolate, amazing restaurants, and the best fish and chips I had in Auckland. On top of the food, walking along the shaded streets or sandy beaches are also great ways to end a long day. Attention all you Insta-folk: on top of that hill in Devonport is where you’ll get your best pictures of the Auckland skyline! Before you leave Auckland be sure to head to the west coast to Piha beach. 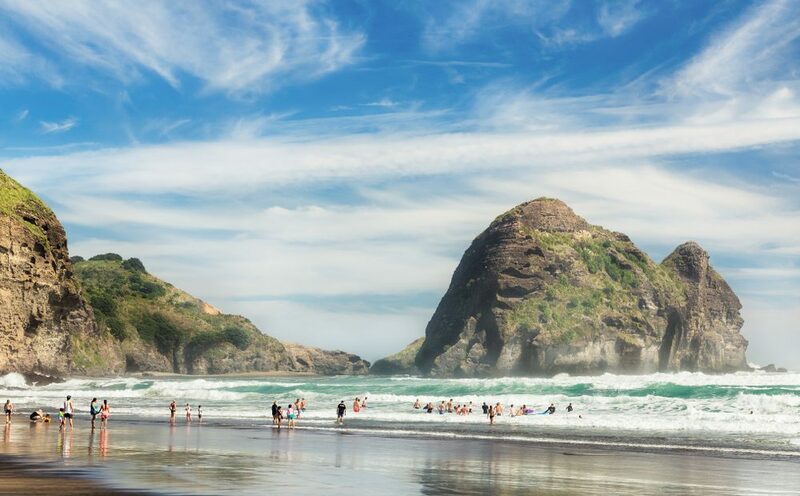 Piha is known for its volcanic black sand as well as perfect waves for surfing. Recently, Piha has become world famous from the reality show Piha Rescue (Which has aired in different countries under the name Deadly Surf and Surf Rescue). If the beach isn’t your style, head inland and visit Kitekite falls, a slender waterfall that leads way to a winding creek that swerves it’s way through the forest. You can dip your ties in the shallow pools, and and stand under the falls for a refreshing pick-me-up!